Why should you sign up for the AnimeNEXT masquerade? It's open to all categories of costumes- even original! Sew some more bling onto your Sailor Moon / Steven Universe mash-up and strut across the stage! Love awesome prizes? In the past Best in Show has won Brother sewing machines. That's right- machines with an "s", everyone in the group got one! What will the prize be this year? Join and find out! Get to it, there's only a few days left to sign up! 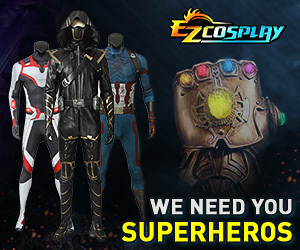 We want to see your amazing costumes!